Nationally, one in three traffic fatalities are a result of an alcohol-impaired driving crash. 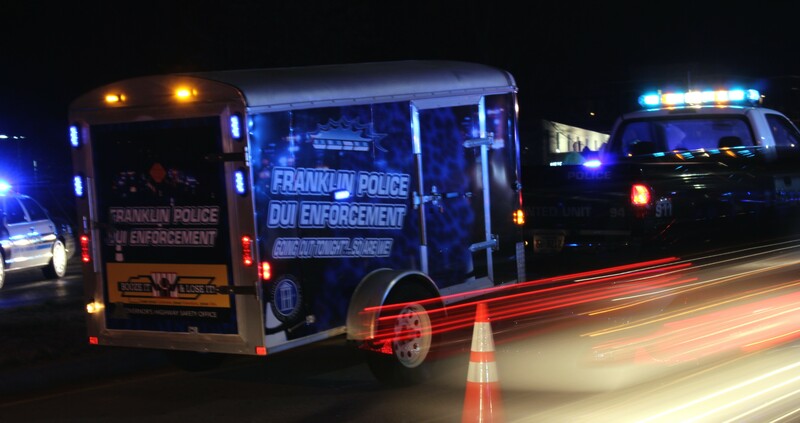 Friday night, 03/04/2016, the Franklin Police Department will conduct two sobriety checkpoints: one on Hillsboro Road, and one on Royal Oaks Boulevard. The Tennessee Governor’s Highway Safety Office awarded the Department with a $35,000 grant to use for anti-DUI initiatives including DUI checkpoints, saturation patrols, training, equipment, and overtime for officers working this checkpoint. Ever wonder why we pre-publish information on upcoming FPD checkpoints? A great explanation at http://goo.gl/J5Yq4C.